Medicaid Planning in Ohio: Have I Waited Too Long? Medicaid planning is important for many seniors. However it is commonly confused with Medicare. This blog will explain some of the relevant factors for Medicaid eligibility. Medicare pays for many medical services, but generally not nursing care. There is an exception if you spend 3 days in a hospital and are released to a nursing facility for rehabilitation. In that case, Medicare usually pays a good deal of the cost of care for up to 100 days. But after that, you will not receive government benefits for nursing care unless you qualify for Medicaid. Before you start thinking it is unlikely you will ever need long-term care not covered by Medicare, look at some facts. According to the U.S. Department of Health and Human Services, most citizens will eventually need help with their day-to-day needs. Fortunately, family members and friends sometimes provide the necessary assistance. In others, full-time residence in a nursing home or assisted living community is necessary. Long-term nursing care is very expensive, and the costs have been rising every year. A typical stay in a nursing home in 2014 in the Cincinnati area could cost more than $10,000 a month or more. In other parts of the country the cost can be higher. Assisted living or memory care unit costs would be less, perhaps $6000 to $7000 a month, but that is still substantial. In Ohio, Medicaid will pay the cost of care if you can qualify. This is why Medicaid planning is important for senior citizens. Many seniors in nursing homes are relying on Medicaid to help pay the bills. Medicaid planning is delicate because of the timetable. There are limits to the resources that you can have or control if you want to qualify for Medicaid. For Ohio residents, if the Medicaid recipient’s spouse is living in the marital home he or she can keep the home if it is not worth more than $543,000 effective in 2014. This changes year to year. You can also keep your vehicle and personal possessions generally will not be counted. In addition, the spouse in the community can keep $117,240 of marital assets in 2014, and the spouse who is the Medicaid recipient can keep $1500 of assets. An unmarried person cannot have more than $1500 of assets in total other than personal possessions. How do you qualify for Medicaid if you have countable assets over these limits? The obvious answer would be to divest yourself of assets prior to applying. One way of doing this would be to give inheritances to your children while you’re still alive. This is where timing enters the picture. There is a five-year Medicaid look back period. You cannot give away assets within 5 years of applying for Medicaid eligibility without suffering a penalty that delays your eligibility for Medicaid. The length of the penalty is determined by dividing the amount of the distributions during the look back period by the average monthly cost of long-term care in the State of Ohio. For example, a gift of $250,000 within 5 years of applying would cause a period of ineligibility for nursing care benefits of almost 41 months! Medicaid planning in Ohio is important so that there is some money protected to make the elder as comfortable as possible, and to not be a burden on the family. It can also preserve some of the hard-earned wealth for the family one day. The rules are very complex and tricky, and even a minor mistake can be very costly. It’s best not to try this yourself. Working with a qualified Medicaid lawyer is best. A full explanation is beyond what a blog can cover. But if you’d like to learn more about Medicaid planning so you can be better informed when you consult a lawyer, download our free special reports on this topic. 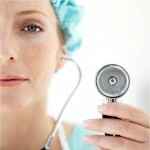 Visit our website and choose among the several reports focusing on Medicaid and nursing care. www.zimmerlawfirm.com.